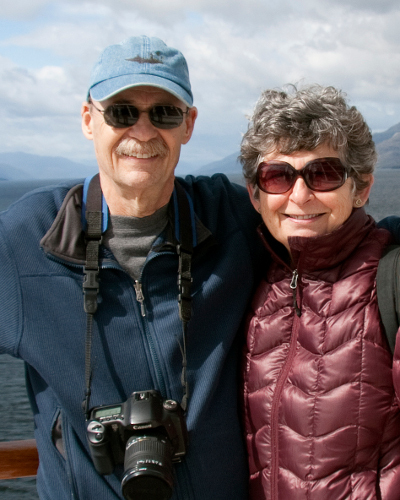 Janet and Stuart Wilson have traveled the globe together for more than 40 years. Collecting images, stories and memorable experiences on six continents, they have explored northern Italy in an RV, camped with lions and elephants on safari on Botswana, cruised the Burgundy Canal in a self-drive boat, and recently walked across England. They’ve cruised in the Atlantic, Pacific, Caribbean and Mediterranean. Beginning their second careers as professional freelance travel journalists in 1997, their work has featured RV travel, historic travel, food & wine, family history travel, and travel off-the-beaten-path in their column titled, The Road Less Traveled.